Cartoon jellyfish and a sea monster who have fallen in impossible love with each other. 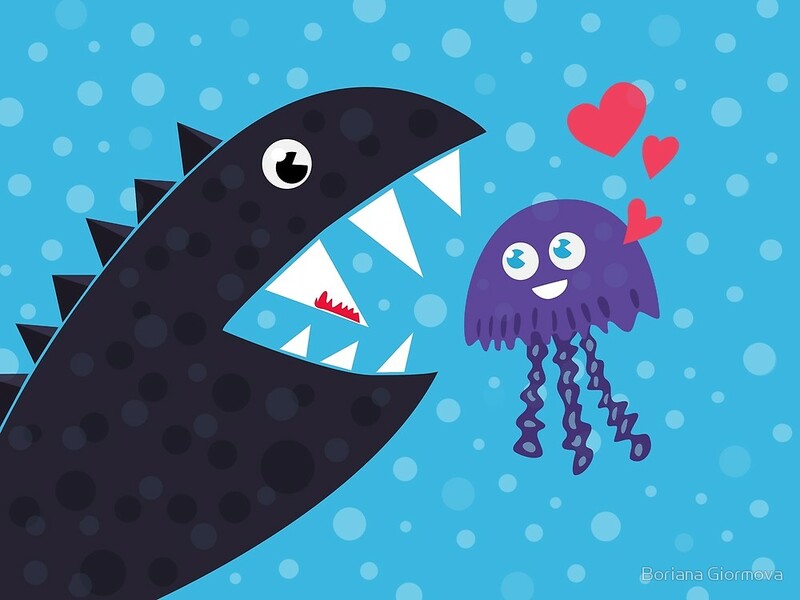 Cute vector illustration which I drew after a sketch which appeared while doodling with my kids. 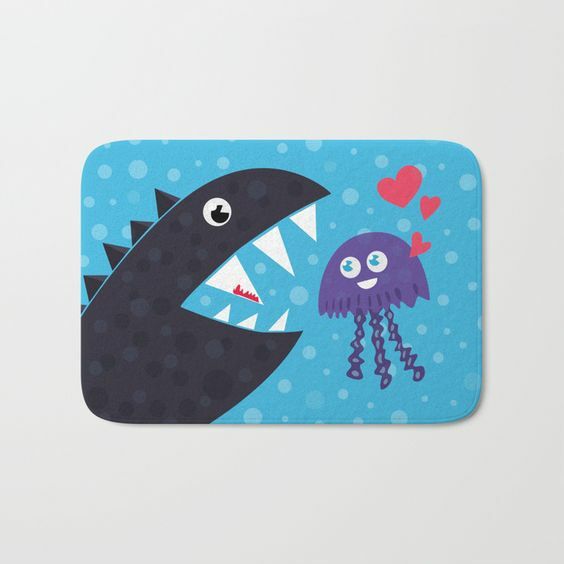 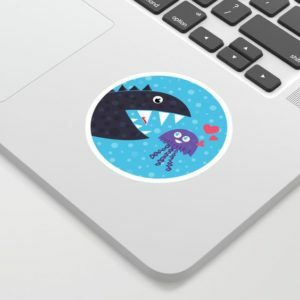 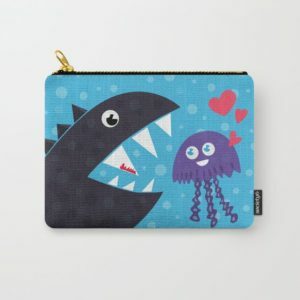 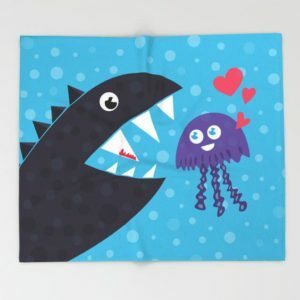 Depicts two funny sea creatures in the ocean, surrounded bu bubbles – a smiling strange monster and a purple jellyfish. 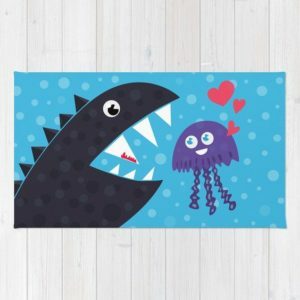 There are tiny specks of blood on the monster’s big teeth. 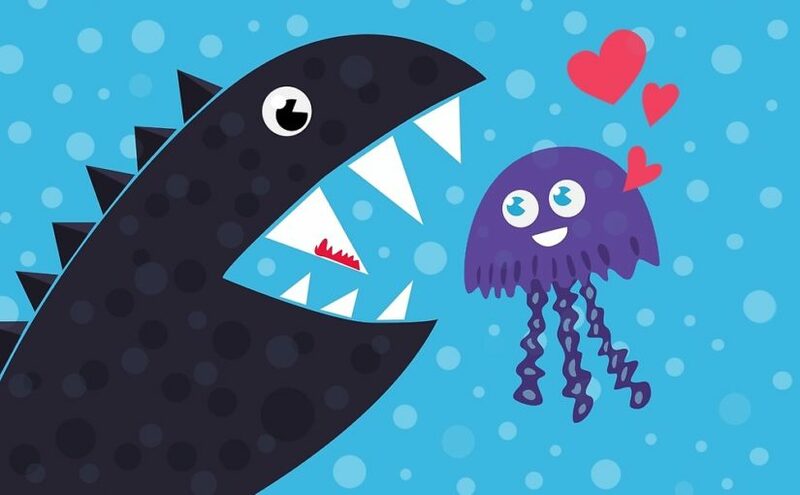 So poor jellyfish doesn’t realize what danger it is in. After vectorizing the image, I added art prints at my Redbubble and Society6 stores. 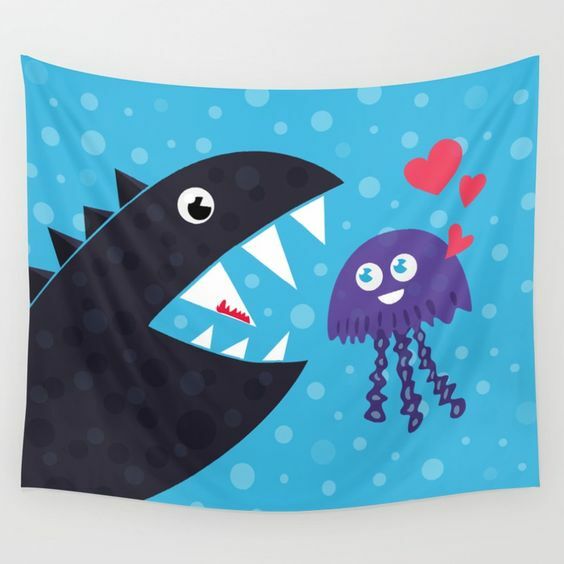 Also, see some products with this crazy marine design at my Zazzle collection, as well as tees at Tostadora and Teepublic.